Why do I amplify Generation SERVE? 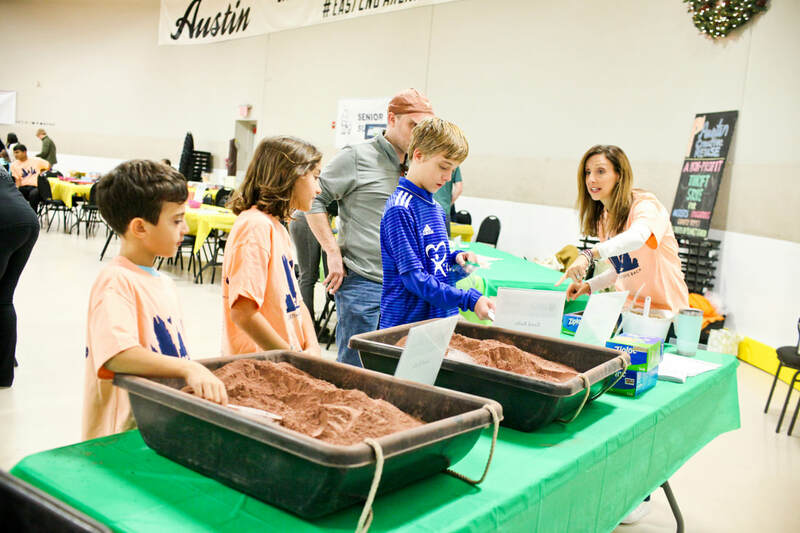 It’s pretty simple: Generation SERVE turns Austin’s youth into lifelong volunteers. Without this organization, thousands of local kids wouldn’t have opportunities to learn about community service through hundreds of different hands-on activities, age appropriate learning and leadership opportunities, and paths to find their passions around helping others. 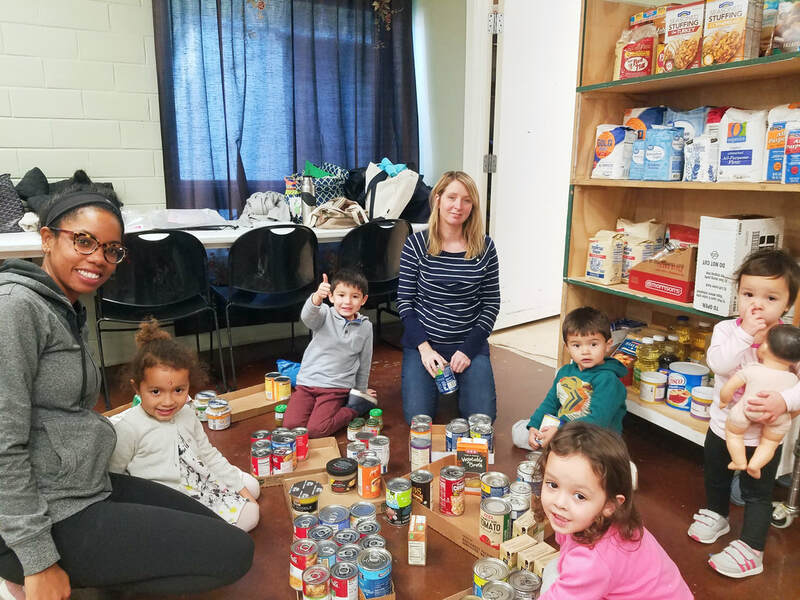 Generation SERVE’s quality volunteer programs allow busy families to find ways to impact our community, and this organization makes volunteering accessible for kids throughout our city. 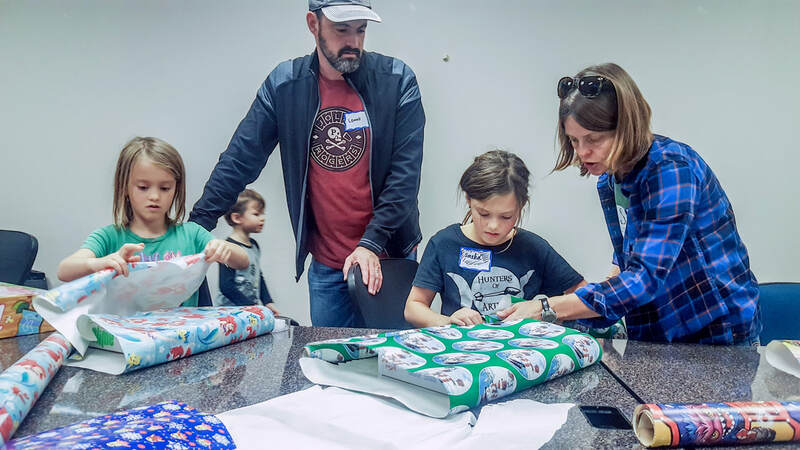 We give to Generation SERVE because, not only are they giving so many families access to volunteer opportunities, but this organization gives over 100 local nonprofits access to a dependable, hard-working, get-things-done volunteer workforce. Because of Generation SERVE, the people who use Micah 6 Food Pantry have smiling baggers for their groceries, Austin Animal Center’s cats and puppies have blankets for their cages, Operation School Bell has plenty of toiletry kits, El Buen Samaritano’s food pantry has stocked shelves, numerous senior communities have opportunities for their residents to play and create with children, and so so SO much more. Generation SERVE’s nonprofit partners rely on them to get things done so they can serve their clients with fewer paid resources. Giving to Generation SERVE means giving to nonprofits throughout Austin - Win. Win. When volunteering with Generation SERVE, families rarely wonder where the ingredients for making meals at Caritas, the markers and stickers for art projects to brighten hospitals, or the duct tape for wallets for Front Steps’ clients come from. Families don’t see the thousands of hours that Generation SERVE’s bare bones staff puts into building and managing their programs, keeping up the calendar, finding opportunities with their partners, or making sure there are snacks in the bins ready to go with the trash grabbers, gloves and bags needed to clean up local parks. 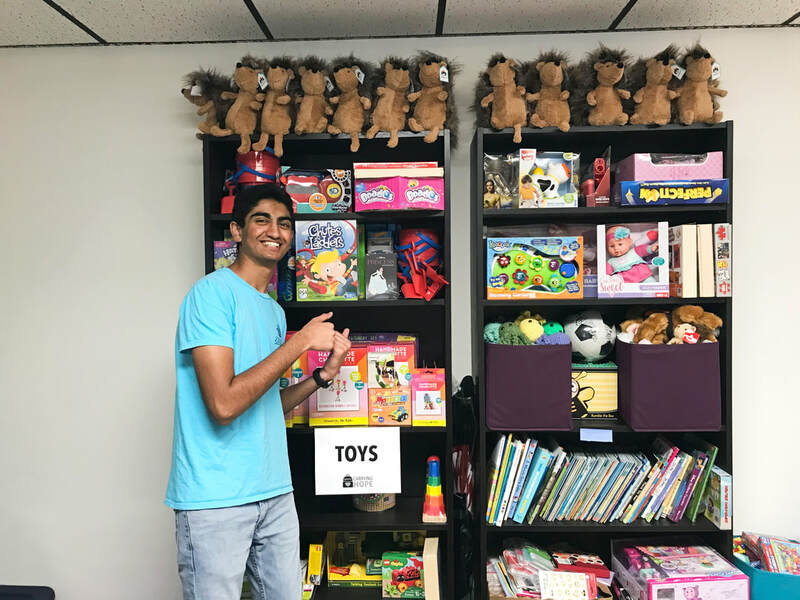 Every time you volunteer with Generation SERVE, they buy the supplies you need, their staff plans everything and this organization makes it easy for you to show up, have an incredible experience helping others, and move on with your day. Paying their staff, buying supplies, paying the rent and building their programs takes money. Without money, Generation SERVE wouldn’t be able to offer the robust programming that they have today, and they won’t be able to expand to reach more kids and bring the power of kids’ volunteerism to other places. So, when you’re talking with your family about who to support during Amplify Austin, don’t forget the organization that introduced you to so many of your favorite nonprofits throughout our city. Don’t forget the organization that enables thousands of kids to find their passions around volunteerism, and that is engaging the next generation to give back and make our world a better place. Join our family in amplifying Generation SERVE to help this unique and impactful organization continue our mission of engaging children in volunteerism and empowering them to make a difference in their communities! Liz, her husband Erick and her children, Lexie and Zackary, volunteer at Austin Sunshine Camps’ Summer Carnival. 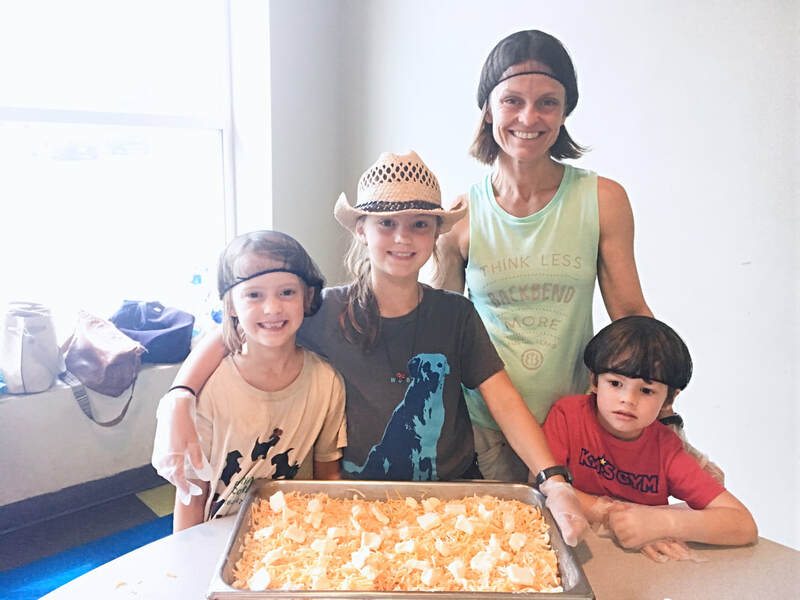 Liz, Lexie and Zackary help families make native grass seed balls for Keep Austin Beautiful at Austin Families Give Back: Family Volunteer Day 2019. 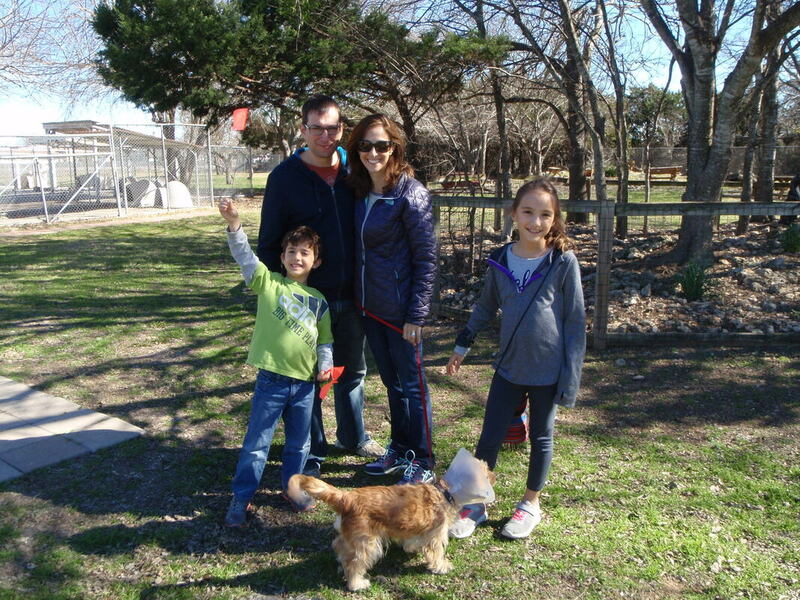 Liz and her family help walk rescued dogs at Central Texas SPCA. Amplify Austin is TOMORROW and Generation SERVE is trying to raise $25,000 to get 450 kids out volunteering in our community. Will YOU help us reach our goal? ​2018 has been a banner year at Generation SERVE as we expanded our opportunities for families to serve, launched new programs to engage kids from preschool through adolescence and brought even more support to our nonprofit partners across Central Texas! This year, over 7,200 children from nearly 3,500 families volunteered through our programs, contributing over 16,500 volunteer hours to our community! We hosted a whopping 981 Family Volunteering activities serving 104 nonprofit partners, including 12 new partners. Our calendar also grew by 7% as we added new opportunities for families to volunteer together with new and existing partners! 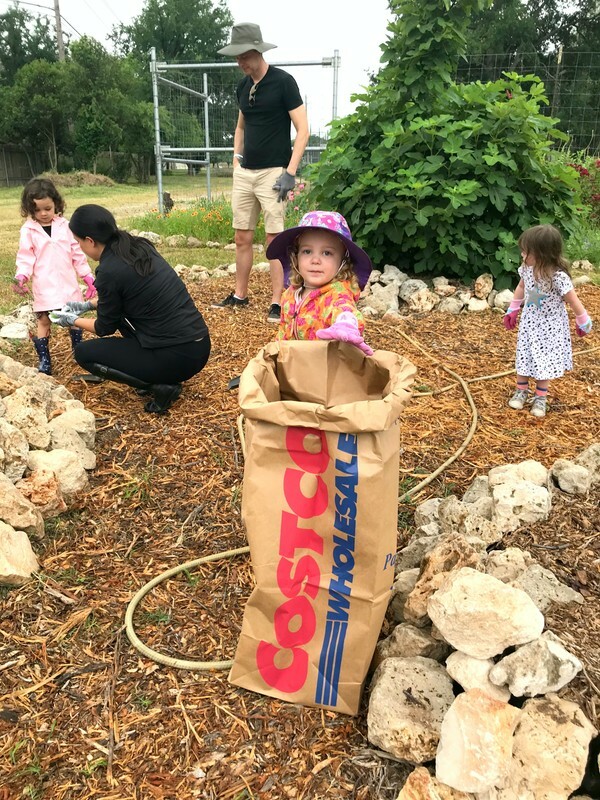 To bring the benefits of community service to our youngest helpers, stewarding them along our service pathway from an early age, we launched our Little Helpers program earlier this year! Little Helpers Learn & Play is a 6-week program giving preschoolers an overview of issues in our community and how they can help. 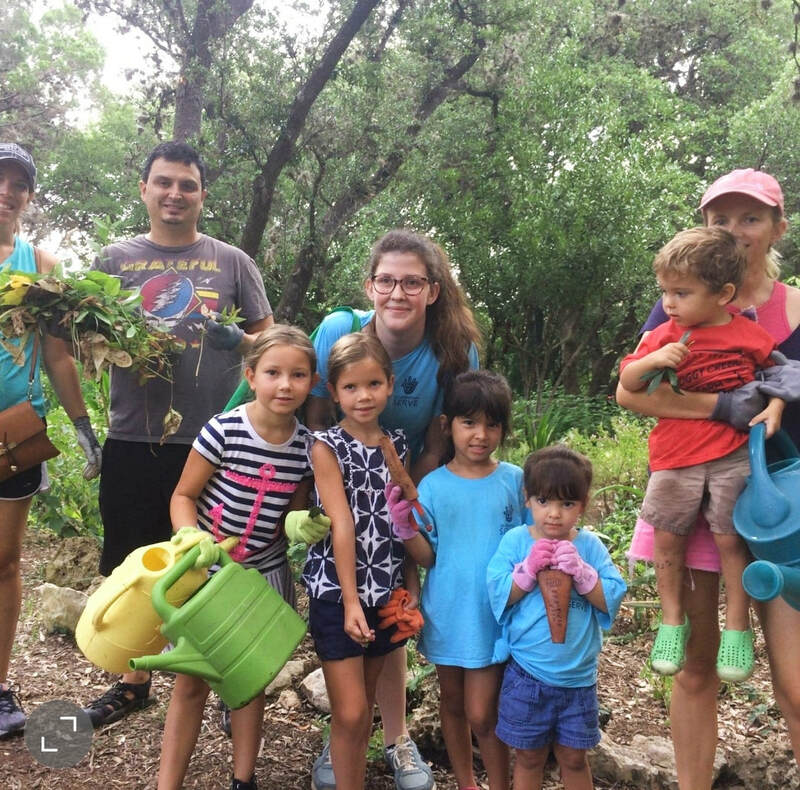 Thirty one 3- to 5-year-olds and their parents participated in volunteer activities serving animals, seniors, kids, people experiencing poverty and the environment. Our spring and summer sessions were so popular that we hosted two sessions in the fall! We look forward to bringing this program to more families in the new year. Our Service Learning Program, which is an even deeper dive into community needs for 3rd through 5th graders, grew by 55% in 2018! We had 82 children participate in our programs focused on five service areas. This year, we added sessions focused on helping seniors and helping kids. While each Service Learning program session includes options to help animals and the environment, our third option will continue to rotate between our three service areas focused on helping specific populations of people (kids, seniors and people experiencing poverty). 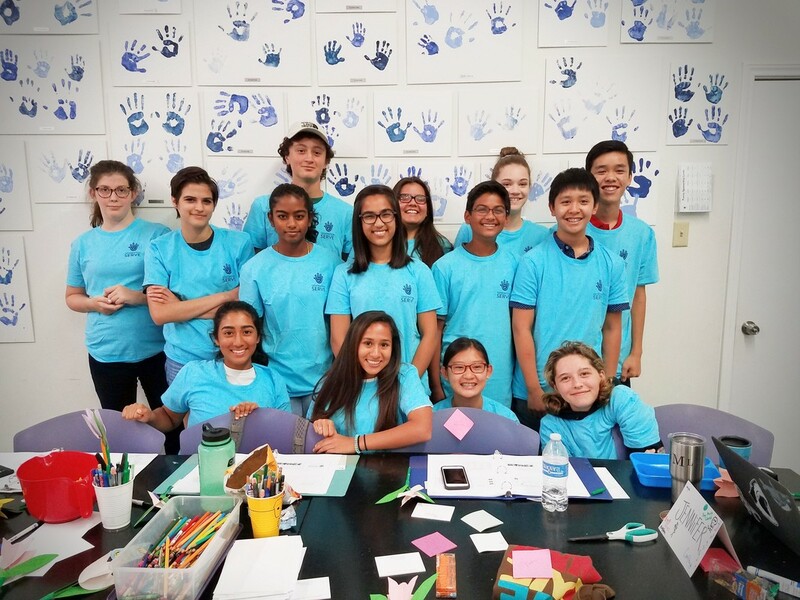 We love watching kids develop through our programs and, for the first time, we saw six Service Learning Program participants from previous years participate in our Youth Leadership Program as they entered middle school! 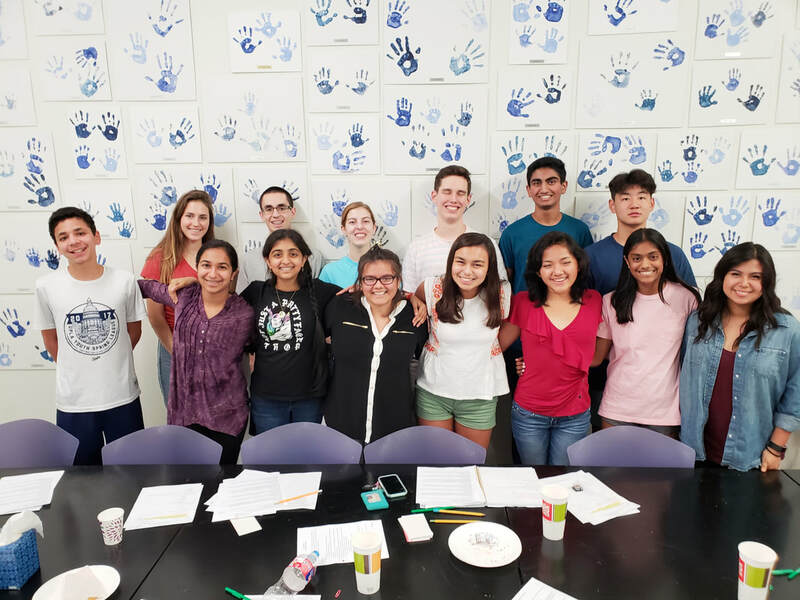 Our Youth Leadership Program gives middle and high schoolers the opportunity to hone their leadership skills through service by leading volunteer activities, educating younger kids about community issues and organizing fundraisers and donation drives for nonprofits across Austin. We served nearly twice as many teens this year through our Youth Leadership Program as we did last year! Our expanded capacity was possible because we split our summer Youth Leadership Program into June and July sessions, allowing us to accommodate 24 middle schoolers and 24 high schoolers this year (versus 16 middle schoolers and 10 high schoolers in 2017). These incredible teens contributed over 2,000 hours in community service to partners across Austin! That time included over 1,000 hours of training, nearly 870 hours leading volunteer activities with families and over 130 hours on independent and group service projects. These same teens raised nearly $5,400 benefiting Foundation Communities, STARRY and Generation SERVE! We also expanded our teen programs this year beyond our Youth Leadership Program. Through a partnership with the Jeremiah Program, we provided teens with an in-depth, ongoing volunteer commitment over the course of a few months. Thirteen teens and their parents provided childcare for single moms served by the Jeremiah Program. Our Teen Advisory Board also launched Teen Service Days this year! With staff support, our Teen Leaders hosted 42 of these drop-off events where teens could serve alongside their peers. These Teen Service Days engaged 190 teens in over 800 hours of service with 22 nonprofits in our community! We are thrilled to engage even more kids, teens and families in service in 2019! Next year marks our 10th birthday and we cannot wait to celebrate it with you! Families stock shelves with food donations at Hope Food Pantry. A Little Helpers participant tends to Adelphi Acre Community Garden. Service Learning Program participants show off their extension projects. High school-aged teens in the July Cohort of our Youth Leadership Program pose for a group photo. 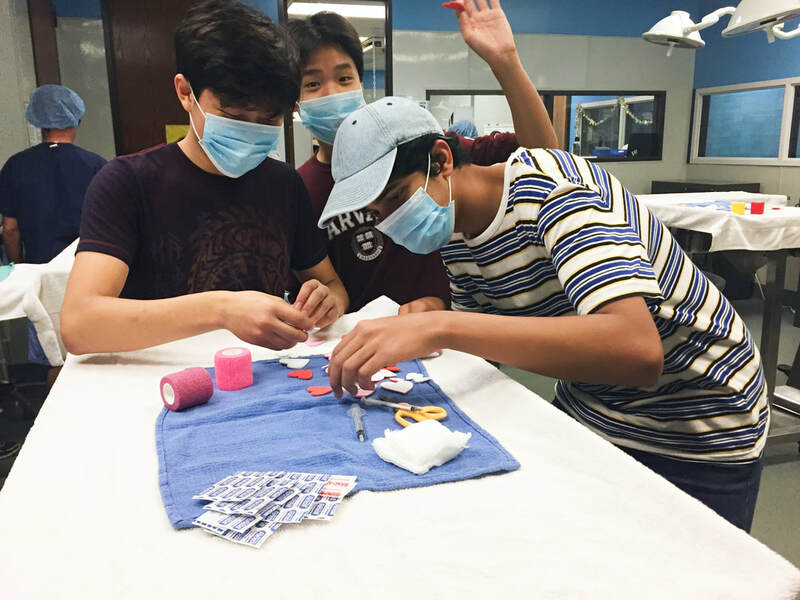 Teens help facilitate Austin Humane Society’s Teddy Bear Surgery event at a Teen Service Day. Want to help us reach more families, provide deeper volunteer experiences and support more nonprofit partners in 2019? Give the gift that keeps on giving with an end-of-year gift to Generation SERVE! Lately, we've been getting a lot of questions about our suggested activity donations, push for Family Sponsorship, and our general need to fundraise. Why do we ask for funds when volunteering is “free”? Today, our Development Director, Allie, breaks it down for us! 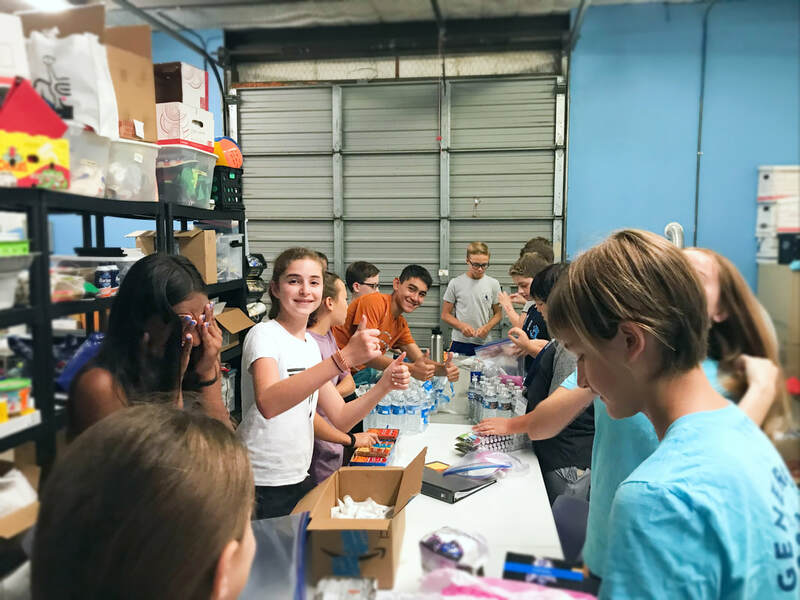 Read on to learn more about why philanthropic donations are essential to Generation SERVE's success - and why we seek donations from our participants and the community. Whether you have volunteered with Generation SERVE once or a dozen times, whether you are just getting started or you are a veteran volunteer, chances are you know that a big part of Generation SERVE’s success lies in our nonprofit partnerships. Over the past ten years, we’ve grown our nonprofit network to over 100 organizations! These partnerships are what make it possible for us to get kids and families out in the community doing meaningful, important volunteer work. But did you know that Generation SERVE is a nonprofit, too? Our identity as a nonprofit means that we rely on donor dollars to support our mission and to help us grow. Without this support, we would not exist. Just like every nonprofit, we are providing a service that meets a need, filling a gap in our community. Create a pathway of volunteer opportunities that will grow with your child from early childhood through adolescence. Provide meaningful service opportunities that make an impact while still being developmentally-appropriate. Make it possible and easy for families to volunteer together. Educate youth and families about community needs, while building empathy and engaging them in being part of the solution. Show nonprofits that families and youth are a productive and valuable volunteer corps. Before we were founded back in 2009, these opportunities were nearly non-existent! And if you have tried to volunteer on your own with your child - especially a younger one - you know it can be difficult to organize on your own. Our programs will always be free to the community, but they are not free for us to facilitate. ​Multiply all of that effort by 80 or so times each month, and that’s where the need for funding comes in. Our ability to raise money directly correlates to the strength, scale, and scope of our programming. When Generation SERVE was founded as Little Helping Hands nearly 10 years ago, the organization started out of our founder’s home with one (unpaid!) staff member, 19 nonprofit partners, 48 activities, and an annual budget of $35,000. Today - in 2018 - we employ a team of nine, have a robust network of 100 nonprofit partners, lead over 1,000 activities each year, and run three innovative and high-quality programs. To operate as we are today, it takes over $630,000 a year! 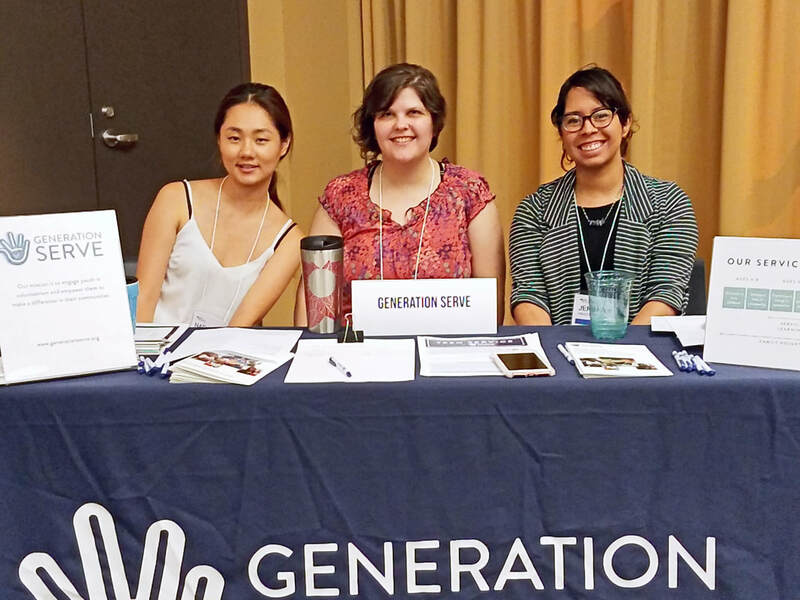 As the leader in the youth volunteerism movement, Generation SERVE has some big plans. We aren’t slowing down! Our need to raise money will continue to grow as we do. So the next time you sign up for an activity and you’re encouraged to make a donation, you see a social media post about Family Sponsorship, or you receive an email asking you to consider a donation during Amplify Austin or Giving Tuesday, you’ll know why. And hopefully you’ll consider pledging your support! Whether you have the capacity to give $1, $1,000 or $10,000, every dollar makes a difference. Thank you for engaging with our programs, believing in our mission, and supporting our efforts. We could not do this work without you! Questions, comments, concerns, or just want to talk further? We'd love to hear from you! Please reach out to allie@generationserve.org and we will find a time to connect. Erin is one of Generation SERVE’s newest Board members. She is an HR Executive with WP Engine. Erin and her partner, Kimery, have two boys: Sawyer (6) and Evan (11). When I was introduced to Generation SERVE by a colleague last fall, I was delighted to learn about an organization that shared my values about youth empowerment, but I wasn’t really sure where to start. Fortunately, the Generation SERVE team was preparing for their first Austin Families Give Back event, and I signed up for our family. It felt right to begin our holiday season spending time together in service to others. Our experience at Austin Families Give Back was awesome! It was a service fair full of hands-on activities, a learning event about the needs in our community AND an opportunity to explore my children’s interests through a different lens. 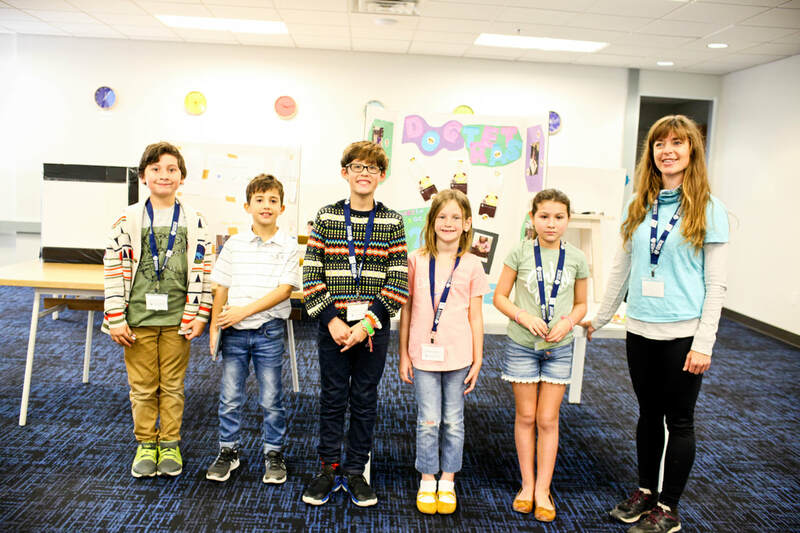 They were exposed to 30 nonprofit organizations and eight different service areas all in one day -- What were they drawn to? What activities resonated most with them? Our oldest son wants to be in motion. He likes helping in ways that involve moving, sorting and making things. He made bird feeders, packed rice and filled sensory stress balls. Our younger son prefers to connect. He wants to know others and offer support - for both people AND animals. He was energized by discussing the activities with other children and volunteers at all of the stations. I walked out of the Millennium Youth Entertainment Complex, where the event was held, proud of our work together as a family and confident we’d just established a new tradition. We’ve built on this momentum in family volunteering over the last year. 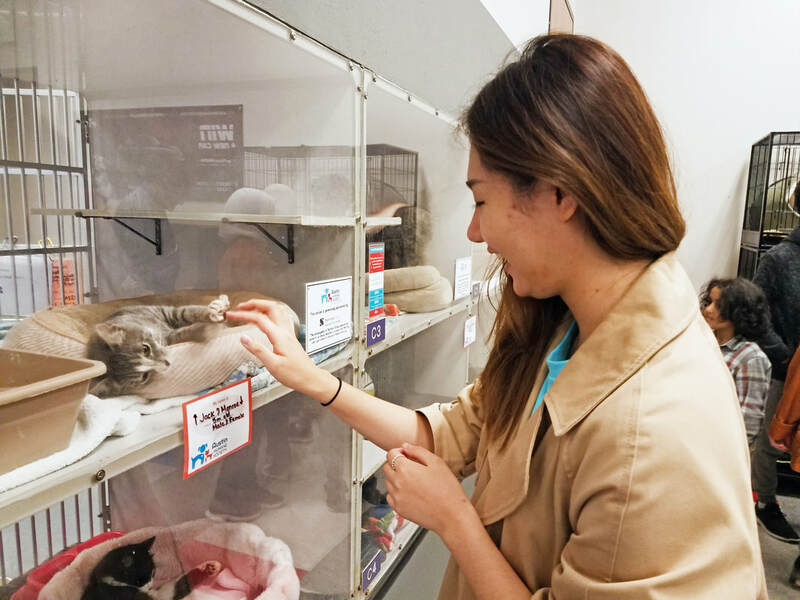 We volunteer nearly every month through Generation SERVE -- bagging groceries, sorting diapers, tending community gardens, cleaning graffiti and even reading to kittens! I appreciate the meaningful conversations we have as we plan our volunteering and reflect on our work. I’ve seen our boys grow in their understanding of the range of needs in Austin and the action they can take. Further, I’ve come to appreciate the team at Generation SERVE and their nonprofit partners in the community. Their commitment to inspiring a passion for youth volunteerism and community leadership is reflected through the thoughtfulness that they put into each event and volunteer activity. I’m privileged to support these efforts as a Family Sponsor, and now as a Board Member. With national Family Volunteer Day nearly upon us, I’m excited for our family to participate again in Austin Families Give Back. It is truly a joy to kick off the holiday season together with giving and service. I hope to see you there! 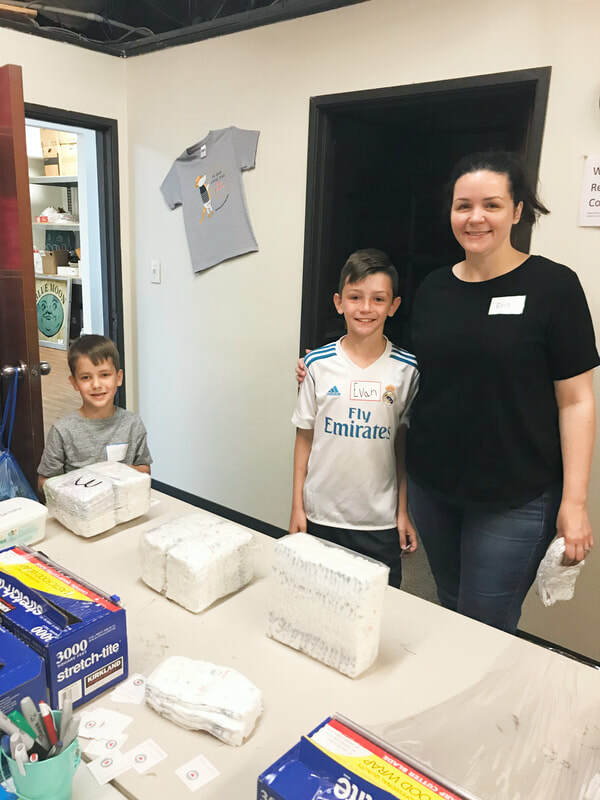 Erin (right) volunteering with sons Sawyer (left) and Evan (center) at Austin Diaper Bank. 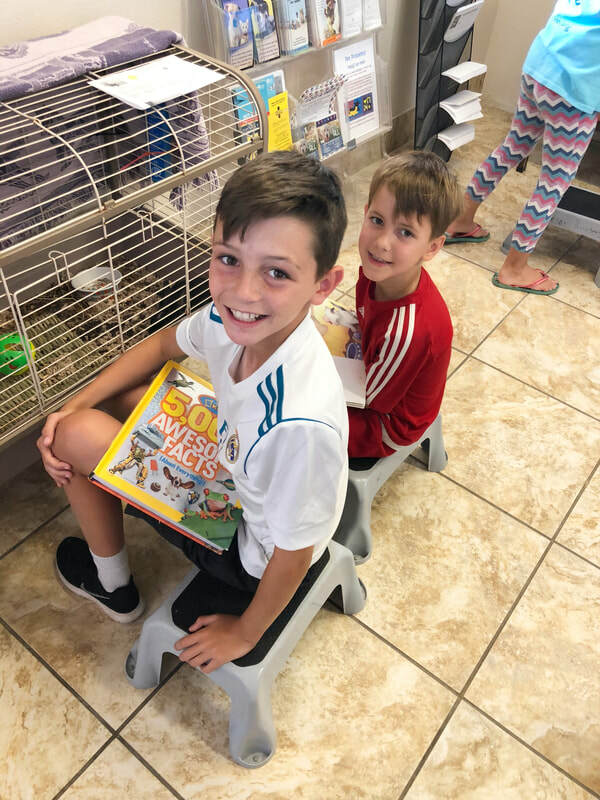 Evan (front) and Sawyer (back) reading to rescued kittens at Williamson County Animal Shelter. 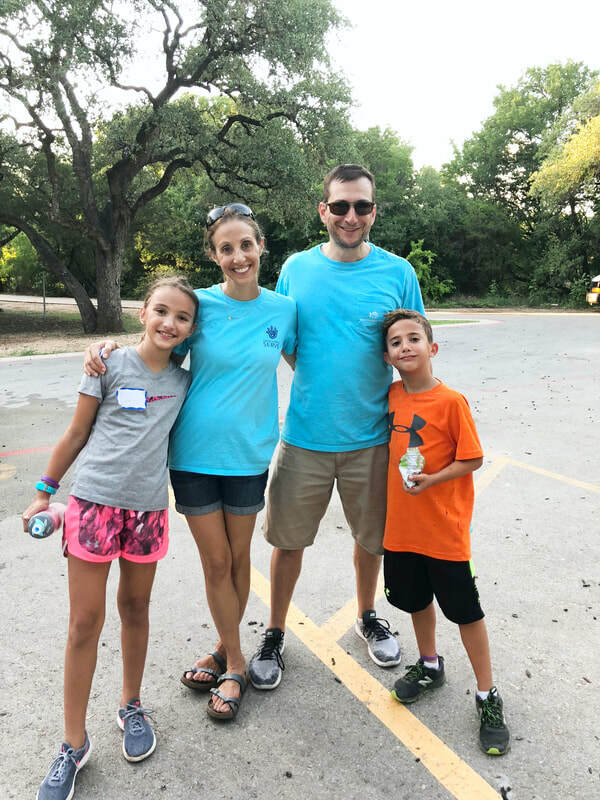 ​Registration for Austin Families Give Back 2018 will open on October 8th at generationserve.org/austinfamiliesgiveback. 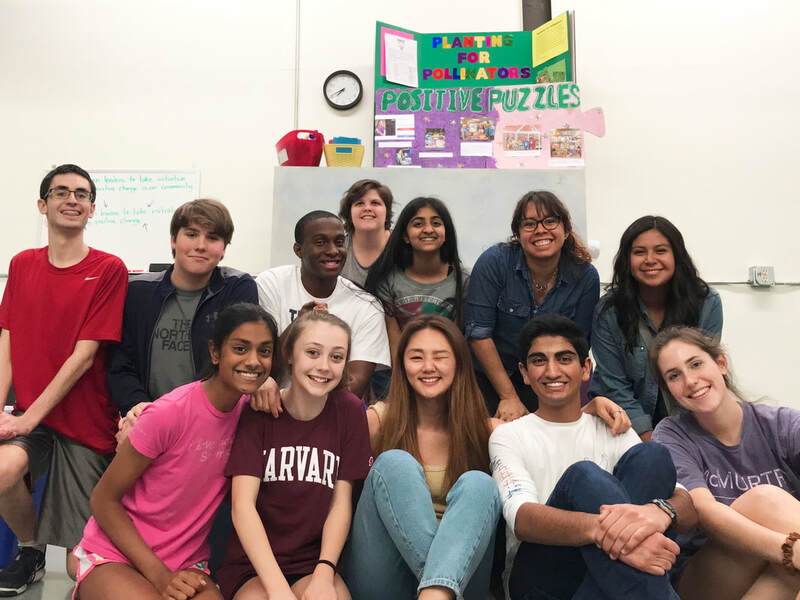 As our summer of service wraps up, we sat down with three of our Youth Leadership Program participants to hear how they liked the program, what they learned and what they plan to do next with all their new skills and experience. Hi, my name is Haylen and I’m entering 8th grade at Murchison Middle School. I’ve been volunteering for my whole life and I’ve served at the nursing home, food banks and now Generation SERVE. I decided in April to apply to the Youth Leadership Program because I wanted to learn more about volunteering in the community. I was so happy when I found out I got in! I have learned a lot and I'm really excited to be a part of leading in the community! My biggest challenge during training and group projects would be learning how to communicate with other co-leads. It was challenging because we all had great ideas for our group project, so we had to learn how to compromise together! Now that I have learned so much through volunteering, I hope I can continue being a leader in the community. Hi, my name is Taryn and I’m going into 6th grade at Murchison Middle School. I loved volunteering at nursing homes, Mobile Loaves & Fishes and Generation SERVE last fall. I was in the Service Learning Program, and we would meet every Saturday for 6 weeks. Three weeks were for learning about poverty in the community and the other three sessions were for volunteering to help the people we learned about. Now, doing the Co-Lead program here has been another amazing opportunity for me. My favorite organization that Generation SERVE partners with is the Austin Diaper Bank. The Austin Diaper Bank provides diapers for babies and toddlers in foster homes that can’t afford to buy them. They are one of the many partner organizations that Generation SERVE works with regularly and I had a great time volunteering with them. Hi, my name is Zazie. I'm 15 years old and I am headed into the 10th grade at Griffin College Prep. I started coming to Generation SERVE this July, and I had no previous experience volunteering. Jennifer, Barbara and the whole Generation SERVE team introduced me to the program, and helped me learn how to lead families in service projects. After that, I got to jump right into my work. My first activity was at an assisted living home called Westminster Manor. I was nervous at first, but with the help of my awesome lead, Ben, I was able to enjoy the activity and stop worrying. After that, I knew what to do and I’ve helped out at six activities since then. My biggest challenge has always been anxiety, so when it was time for me to lead my own activity I was pretty frightened. I think going to Mayfield Park and gardening was my favorite memory so far. I went in not knowing what I was doing but after meeting the kids and getting to work, I started to feel better. Afterwards, I laughed at myself for ever worrying about it. Generation SERVE has made me feel more confident in myself and taught me I don't always need to worry. Haylen (center left) making homeless care kits for people in need with the other Teen Co-Leads. 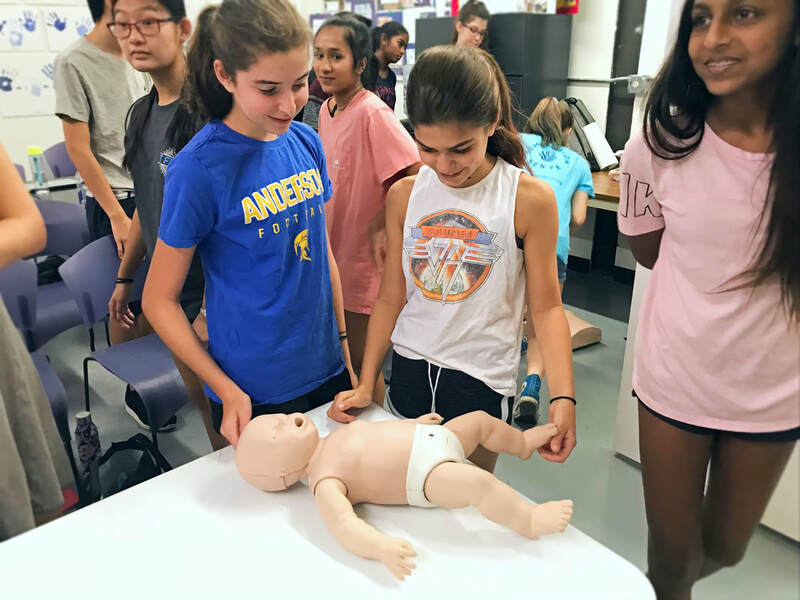 Taryn (center) and Haylen (left) learn how to perform CPR on an infant during Youth Leadership Program training. Zazie (center) poses with families while leading a volunteer activity at Mayfield Park & Preserve. Hi, my name is Sadie and I’m starting 4th grade this fall. Earlier this year, during the Generation SERVE Service Learning program, I started Humanist Kid. I’m really excited that my leader, Jennifer, at Generation SERVE asked me to write about it. Humanist Kid is a project I started in third grade. It focuses on helping people who are homeless. I noticed that people ignore those who are homeless. It’s easy to look away or at your phone and not see that they are hurting. It would make me feel awful if someone did that to me. I wanted to let them know I saw them and cared. I started making homeless care packages to give to people. The care packages have things like granola bars, rescue blankets, socks and $5 bills. Instead of ignoring people, I could give them something, smile and say something nice. My mom and I decided to call the project Humanist Kid because “humanist” means someone who cares about all people. We made t-shirts and bags with a cool design on them that say HUMANIST in big letters. They remind you to see the human being in everyone you meet, especially a person without a home. We sell them on the website humanistkid.org and use the money we make to buy stuff for our care packages. I want to get other kids excited to help! ​When did you get the idea for Humanist Kid? ​On Thanksgiving Day, I saw a person asking for food by the road in downtown Austin. I burst out crying. I reached over to my grandma and said, “It’s Thanksgiving. The least we can do is give them some money for good food.” She agreed right away. All Thanksgiving dinner, I talked about how we can help homeless people. We came up with the idea of care packages. What did you learn in the Generation SERVE Service Learning Program? ​I did the Helping People Service Learning Program at Generation SERVE. We visited lots of organizations that help people in need. I learned that people who are homeless keep their spirits high. I don’t know how they do it. They say things like “Will you come back again?”. They seemed happy when we helped and that felt great. ​What have you accomplished so far? This winter my grandma, mom and I made and handed out 27 care packages. In May, we launched our website with all of our t-shirts - they come in lots of cool styles and colors for babies, kids and grown ups. We have made $2,490 in gross sales and earned $1,254 for our charity. Every dollar we make buys stuff for people in need. After we launched the website, we fed a park full of people dinner. It felt awesome and they were so happy and surprised. My mom and I are planning the next round of care packages. Lots of kids have said they want to help, so my mom and I have been brainstorming ideas. Some of my friends hosted a lemonade stand in their neighborhood and the proceeds will help pay for the stuff in the care packages! We are also planning a volunteer day in September to help us pass them out. If you’re interested, sign up right on our website. My mom and I are talking to agencies in Austin now to get advice on how to grow Humanist Kid. ​What has been your favorite part of this project? ​Seeing the looks on people’s faces when they get the care packages is my favorite part. They smile and happy cry and say “God bless you.” It makes me feel good that I’m helping, but sad that we have to do this to get homeless people noticed. We have to remind people that underneath it all, we’re all the same. 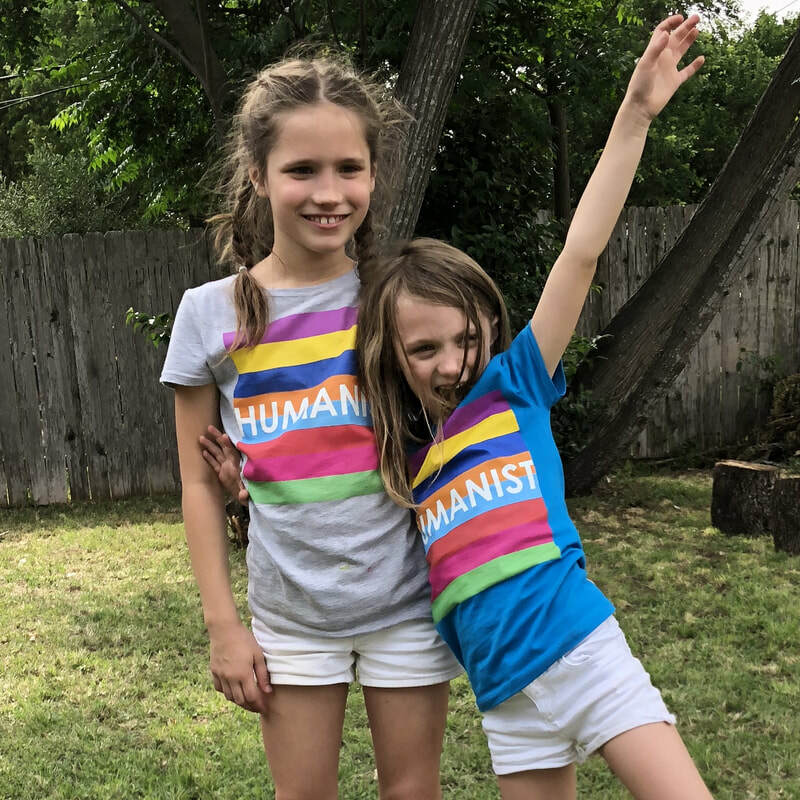 Sadie (left) and her younger sister, Pippi, show off their Humanist Kid shirts. 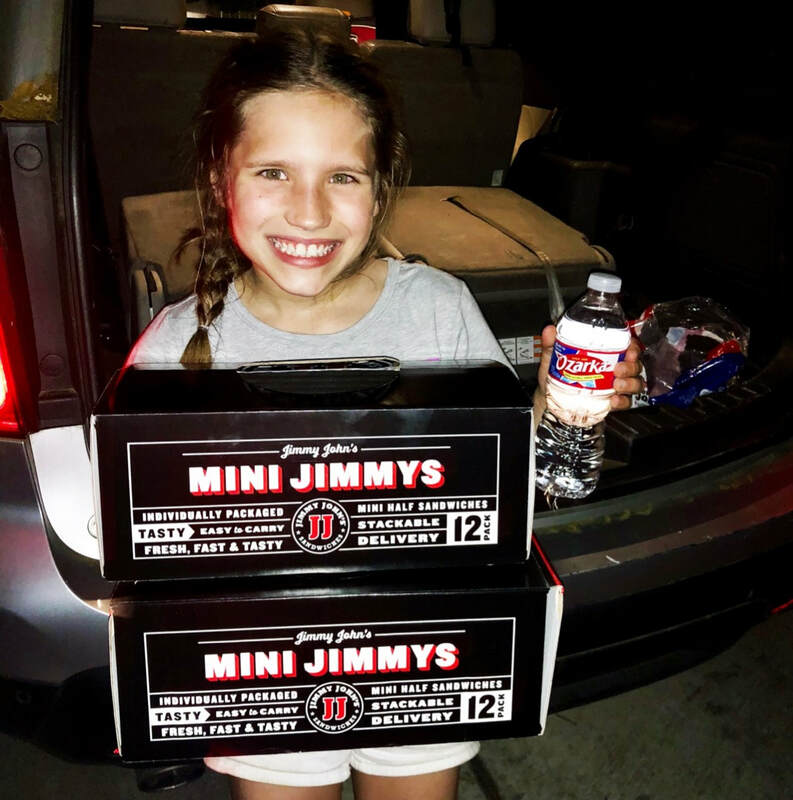 Sadie distributes 24 Jimmy John’s meals (donated by her grandmother) to people in need at the Terrazas Branch Library. 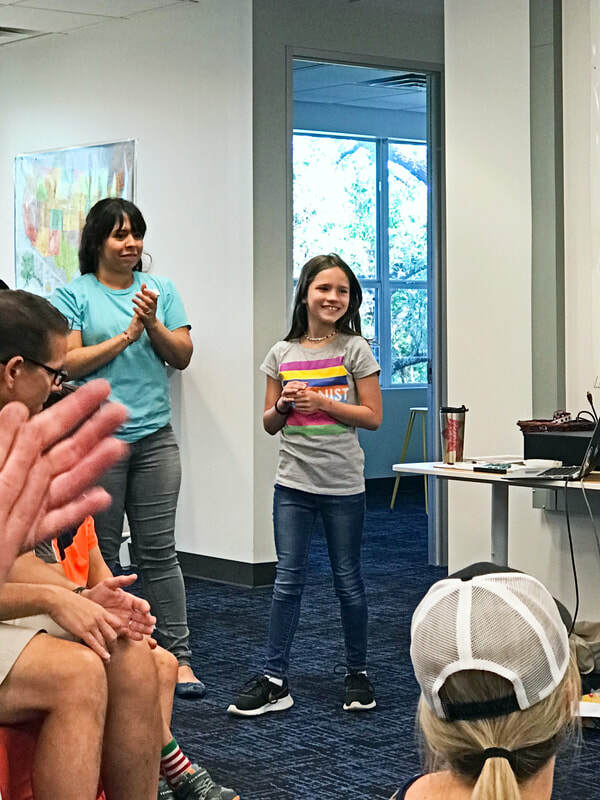 Families applaud after Sadie finishes her presentation on Humanist Kid at our spring Extension Project Showcase in April. 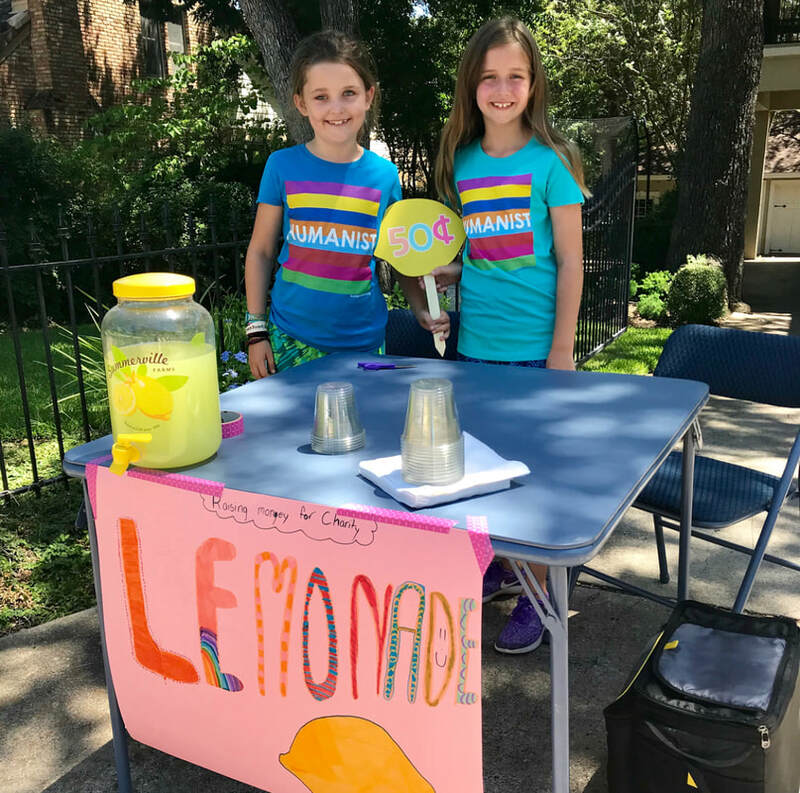 Sadie's friends, Paige and Evey, host a lemonade stand benefiting Humanist Kid. ​Do you have a 3rd - 5th grader interested in our Service Learning Program? ​Registration for our fall program opens on July 9th, so keep an eye out for an email at that time where you can sign up! THANK YOU TO AMY'S ICE CREAMS! 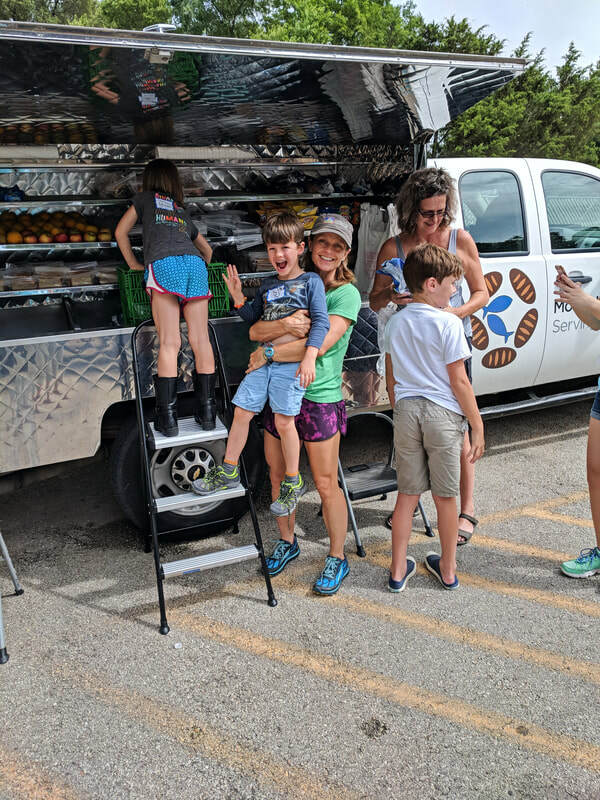 As a thank you for our volunteers' service to the Austin community, Amy's Ice Creams provides each of our youth volunteers, ages 13 and younger, with a gift certificate after every third Generation SERVE volunteer activity completed! We are so grateful to Amy's for demonstrating their support for our mission in this way. It is evidence that the local business community appreciates what our volunteers are doing for Central Texas. At Generation SERVE, our goal is to encourage intrinsic motivation to help others. Research shows that kids are able to empathize starting around age four, but each child has his or her own timeline for strengthening those empathy muscles! As kids develop along our Service Pathway, we see their motivations for participating in our activities change over time. We often see our newest and youngest volunteers excited and motivated by the ice cream treat! As they experience meaningful service more consistently, they become inspired to serve because they witness the needs in the community and see the impact that they are having through volunteerism. These certificates can also be a way to extend the kindness beyond the Generation SERVE activity experience! 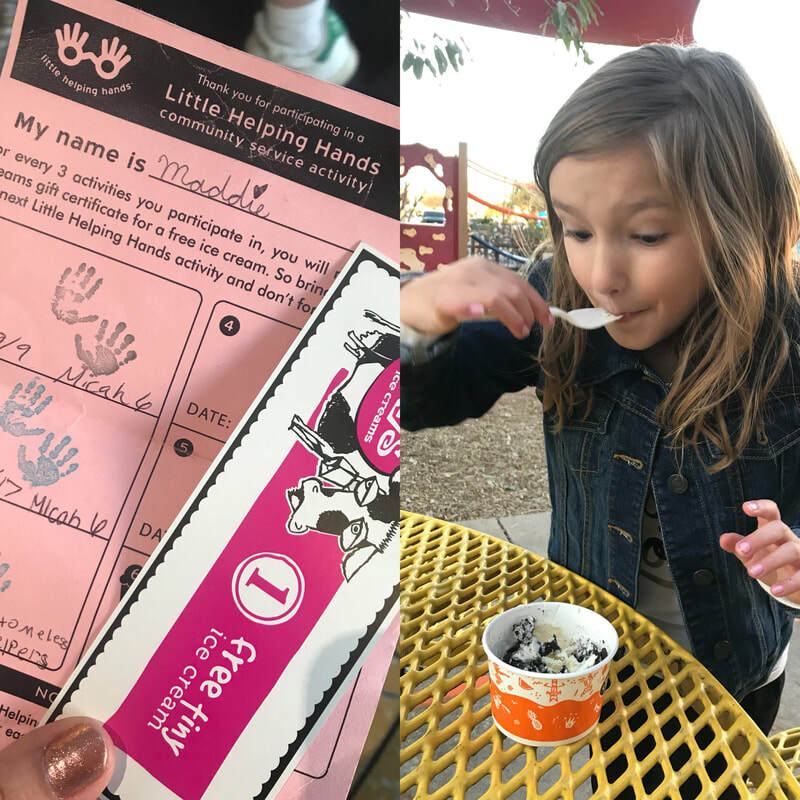 We have seen families collect their Amy's Ice Creams certificates until they have the right number to take a group of friends out for an ice cream party! We have also seen families discuss giving the certificate to a friend in need of cheering up. We continue to be amazed by the youth in our programs and their innovative ideas for spreading the love! Thank you, Amy's Ice Creams, for helping us encourage youth to continue serving, making it a habit and a lifelong commitment for our community's next generation! A volunteer enjoys her reward from Amy's Ice Creams after a Generation SERVE activity.